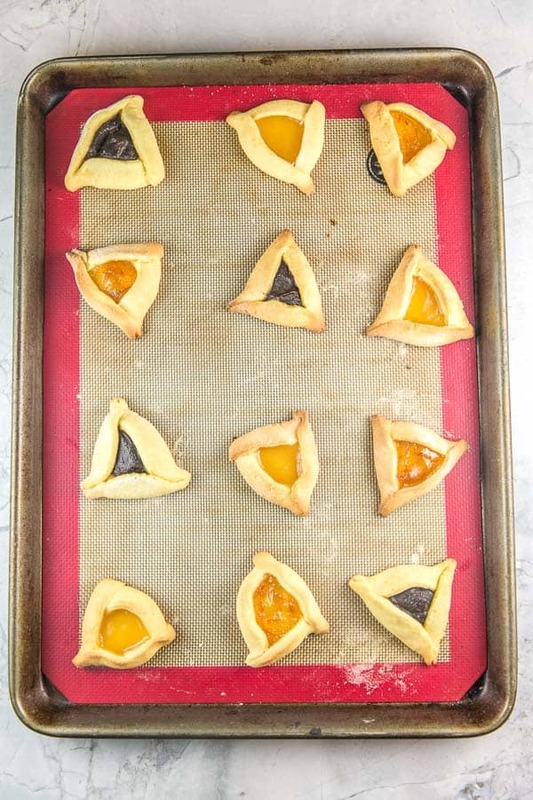 Love making hamantaschen but want to shorten the process? This cake mix hamantaschen dough recipe tastes like the real deal, but only takes 3 minutes to mix. Perfect for baking with kids, too! 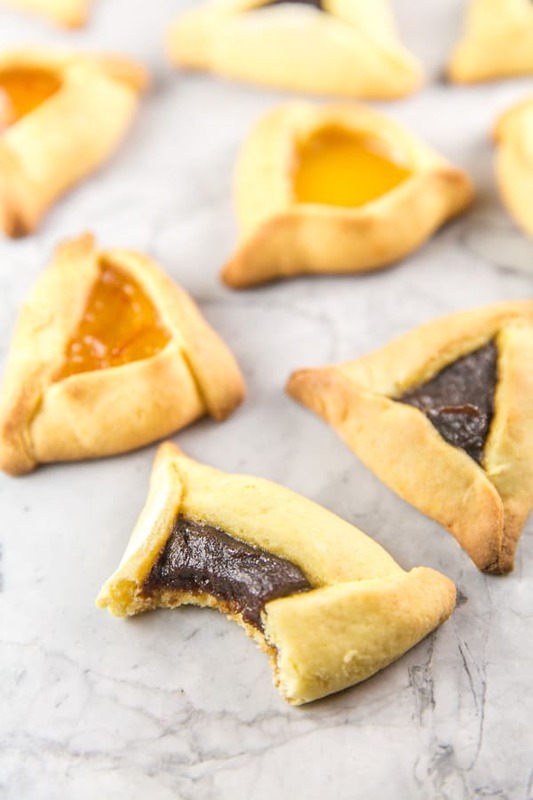 Purim is this week, which means it’s time for the most delicious of all holiday-themed cookies: hamantaschen! A few years ago, I shared a delicious, easy, made entirely-from-scratch traditional homemade hamataschen dough recipe. 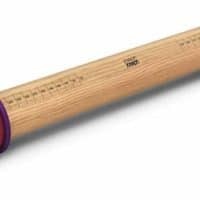 It rolls out like a dream, is easy to fold over, and stays closed while you bake it. Buuuuut I also mentioned that the recipe wasn’t quite what I was looking to replicate. I have spent years (YEARS! DECADES! MY ENTIRE ADULT LIFE!) trying to replicate the hamantaschen from my childhood — these giant, artificially yellow-ish, super crumbly, much more cake-like than cookie-like, perfectly triangular hamantaschen. So when my mother said this year, she made hamantaschen from a cake mix I was super excited. I generally prefer to bake from scratch, but how better to replicate cakey hamantaschen than using a cake mix? But, what we have here, is a very good, very easy recipe, that is not entirely too dissimilar from my traditional homemade hamantaschen recipe, except the dough rolls a little thinner. And also, it’s made from cake mix, so it’s the PERFECT solution to those of you who want hamantaschen but aren’t super into baking from scratch. Or the perfect first hamantaschen for little bakers – this is such an easy “cooking with kids” recipe! 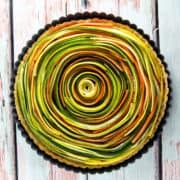 Yes, this is made from cake mix — I see you baking purists shuddering. But it also takes like three minutes to make the dough, and then you get to the fun part: filling and folding. Let’s back up a second first, though. Purim? Hamantaschen? What’s all this about? Hamantaschen are a triangular-shaped cookie associated with the Jewish holiday Purim. At Purim, we celebrate when Esther triumphed over the evil vizier Haman, who tried to destroy all the Jews. 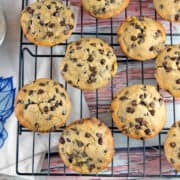 To make the classic three-cornered shape, cookies are rolled into a circle, a small amount of filling is placed in the center, and the sides are folded (or pinched) up around the filling to create a little triangular pocket. Why are they called hamantaschen? The most obvious, of course, is the reference to Haman in the name hamantaschen. The three corned triangular shape is thought to be a reference to the three-cornered hat worn by Haman (and my 3 year old now likes to call them hat cookies). Tash in Hebrew means weakened — a nod to God weakening Haman to allow his defeat. Haman-taschen, thus meaning Haman was weakened. Another theory, however, goes to the Yiddish root of the word: mohn meaning poppy (which is the classic filling) and tasche meaning pocket. A poppy-filled pocket cookie! Ooooor maybe the pocket reference is because Haman offered to pay money — emptying his pockets — to the king to receive permission to kill the Jews. Hamantaschen are a little more involved than most cookies because of rolling out and filling the dough. So in order to make things super duper extremely easy, cake mix hamantaschen start with a box of cake mix. All you need to add to the cake mix is flour, vegetable oil, eggs, and a little water. That’s it! Mix together all the ingredients, by hand or with a mixer, until a stiff dough forms. No need to refrigerate the dough like my classic recipe; this dough is stiff enough that you can roll it right away. Lightly flour your working surface and roll the dough out to 1/8th-inch. 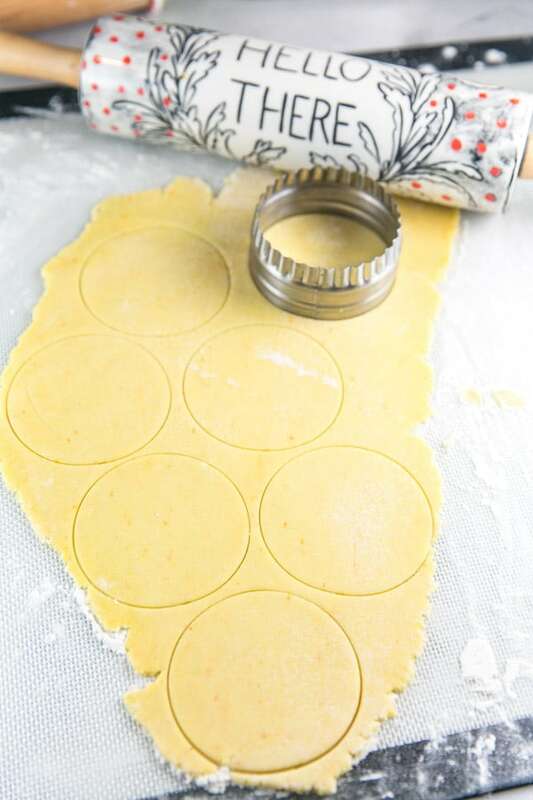 Use a round cookie cutter to cut the dough into 3-inch circles. Place a teaspoon of filling into the center of the dough, then fold (or pinch — I tried both methods to confirm it would work for everyone’s preferences) the sides up into a triangle. Now that we have making the dough down, how do we ensure the filling stays put? Here are my top tips for ensuring your cake mix hamantaschen (or any hamantaschen!) stay closed with the filling inside. Use a thick filling. I’ll talk more about fillings below, but the goal is to use something thick enough that it won’t bubble over or run down the sides. If you’re using a thinner filling — something cream cheese based, for example — refrigerate the filling first to firm it up, then spoon some into the center. If you scoop the filling, it’s good — if you have to spoon and pour it because it’s liquidy, it’s too thin. Use at least a 3-inch cookie cutter for the dough. You can go bigger (and who doesn’t like bigger cookies?! ), but don’t go smaller. The smaller the circle, the harder it is to seal the dough on the corners. Pinch or fold corners well and seal with water if necessary. One of the things I like about this cake mix dough is that it’s stiff enough that I didn’t need a little water to hold the corners shut. But if you find they are popping open, dip your finger in a little water and run it over the dough to help seal the corners shut. Don’t overfill your hamantaschen! 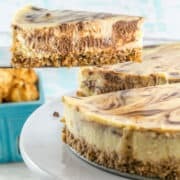 I know it’s tempting because the filling is delicious, but too much filling will spill down the sides while it bakes (especially true for things that rise while baking – like a brownie batter filling). One to one and a half teaspoons are all you need for a 3-inch circle! Chill the cookies before baking. After rolling the dough and forming the hamantaschen, transfer the baking sheet to the refrigerator and chill for 15-20 minutes. The cold dough is less likely to spread or unfold while baking. What do you use for hamantaschen filling? In this day and age, anything goes! 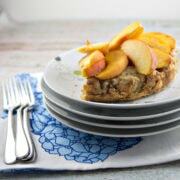 The traditional filling is poppy, but apricot and prune are also classics. From here, other fruit flavors started popping up: any variety of jam or preserve. These are my personal favorites, and I consider Purim to be the perfect opportunity to go through my refrigerator cupboards and find what various jars of jam and fruit preserves we’ve collected over the past few months. For this batch, I used some lemon curd (because I love lemon curd), apple butter (from a random jar that I realized we would never otherwise open), and orange marmalade (leftover from making this Instant Pot Orange Chicken). The lemon curd are delicious but the apple butter were the surprise winners in my book. I even made an extra two dozen to bring to my son’s preschool class! Nowadays, if it’s a thick enough filling, people have added it to hamantaschen. Brownie batter. Nutella. Mint chocolate chip. Blueberry goat cheese. It’s all in there. In fact, The Nosher has an “Ultimate Ranking of Hamantaschen Fillings” in which they suggest s’mores filling. 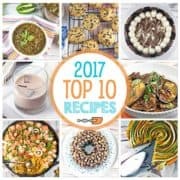 You guys know I love everything s’mores (see: s’mores cookie cake, s’mores pie, gooey s’mores bars, s’mores bundt cake, small batch s’mores brownies) so I think I know what I’m trying next year! 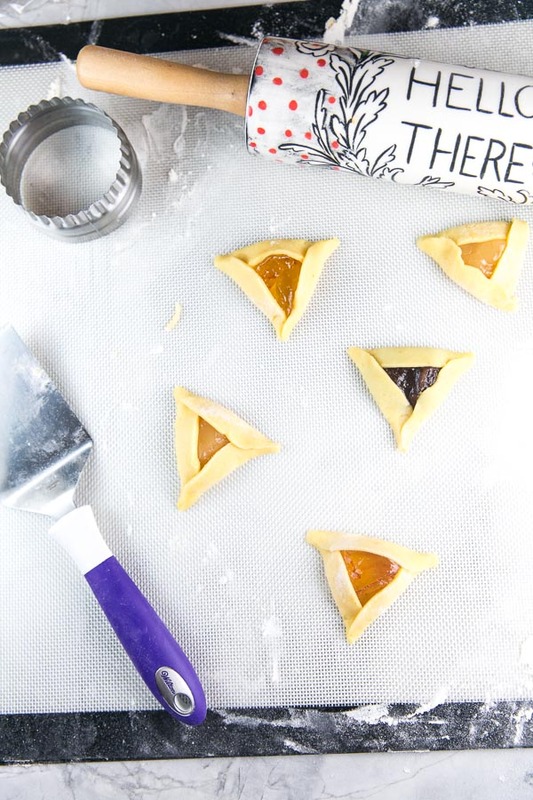 Because of the filling, hamantaschen have a shorter shelf life than most cookies. They are best consumed within the first two day. After three days the cookie starts to get a bit soggy from the filling (particularly with fruit fillings). Allow the hamantaschen to cool completely on a wire rack, then transfer to an air-tight storage container. Keep at room temperature for up to three days. One of the best parts of hamantaschen: they can be made ahead of time! Either hamantaschen dough, or the fully baked cookies, can be frozen. With this fast three minute cake mix hamantaschen, it doesn’t really make sense to freeze a batch of dough. 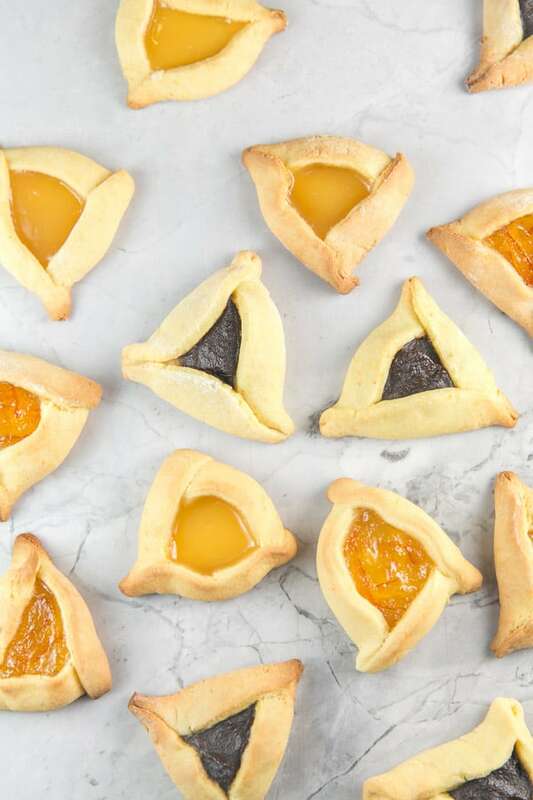 The whole hamantaschen, however — what a perfect way to get Purim prep done ahead of time (or save some from your Purim batch to enjoy year round!). 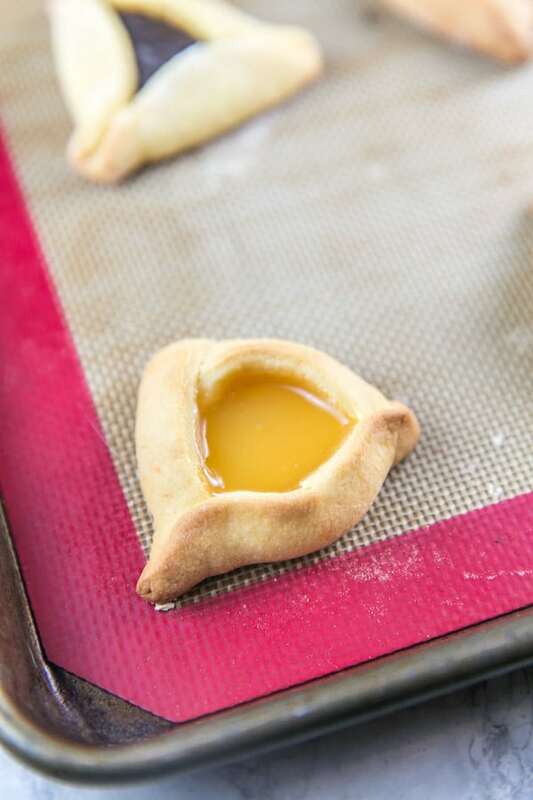 Love making hamantaschen but want to shorten the process? This cake mix hamantaschen dough recipe tastes like the real deal, but only takes 3 minutes to mix. Preheat oven to 375 °F. 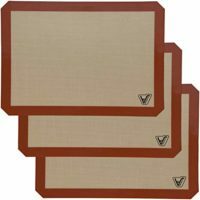 Line cookie sheets with parchment paper or silicone baking mats. In a large bowl, mix together the cake mix and flour. Stir in the eggs, oil, and water until fully combined. Roll out the dough on a lightly floured surface with a floured rolling pin. Roll the dough to 1/8-inch thickness. Use a 3-inch circular cookie cutter to cut out cookies. Dough scraps can be rerolled to make more cookies. 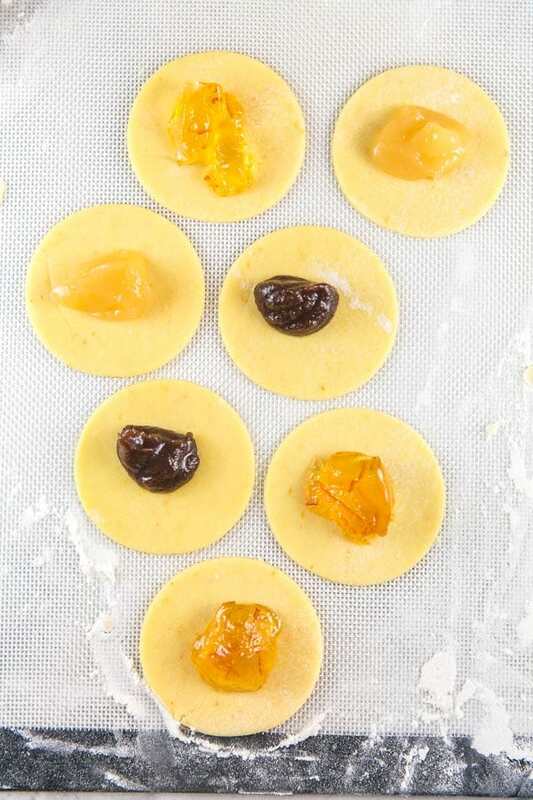 Place circles of dough in a single layer on the prepared cookie sheet. Place 1 - 1.5 teaspoons of filling in the center of each cookie and fold or pinch the sides to form three corners. Dip a finger in water and run along the corners to hold dough together, if necessary. 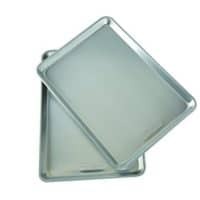 Place the cookie sheet in the refrigerator for 15 to 20 minutes to ensure dough is cold before baking. Bake cookies for 10 minutes, or until the edges are lightly browned. Cool on the sheet for 5 minutes, then transfer to a wire rack to cool completely. Hamantaschen can be stored at room temperature in an airtight container for 3 days. To freeze, place fully cooled cookies in a plastic freezer bag and store for up to 3 months. Thaw at room temperature before eating. Oh awesome! I’ve been wanting to make these! Yours look absolutely delish! I can’t wait to try them! 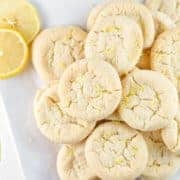 I’ve definitely come across these cookies before but never knew what they were. Love the short cut on this recipe. P.s. I want that rolling pin! I’ve been seeing these cookies on Instagram a lot lately, and I’ve been wanting to give them a try. They look delicious, and I love your cake mix short cut! I’ve been seeing these cookies everywhere recently! It’s so nice to read a bit more about the history behind them, thank you for sharing that! They look totally delicious, and recipe is much easier than some of the other ones out there! Definitely a must try! I am saving these for Easter! I love how simple they are to make and even the kiddos could help make them. 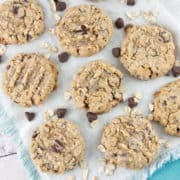 Have to try these delicious cookies. 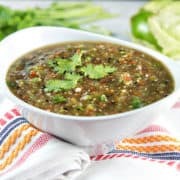 Love the flavors as well as the recipe. Lovely snack option too. These little bites of deliciousness look so good! The perfect easy dessert for parties or any day. These little sweet treats look absolutely delicious. And they are super easy to make. What a lovely Spring baking idea. I have some jam I need to use soon. I think I’ll be making these next week. These look so good! I have a brunch coming up next weekend and I think these well be going on the menu! That filling is making my mouth water! What!! This is awesome! I am always looking for fun ideas to make with cake mix, so this is definitely going on my list! Yum!!! These look so amazing! 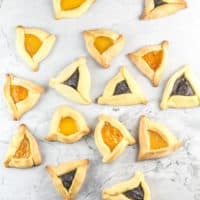 I’ve never heard of hamantaschen before but I’m down to make these!! Loving your tips too…gives me peace of mind that I’ll be able to pull off making this recipe!! 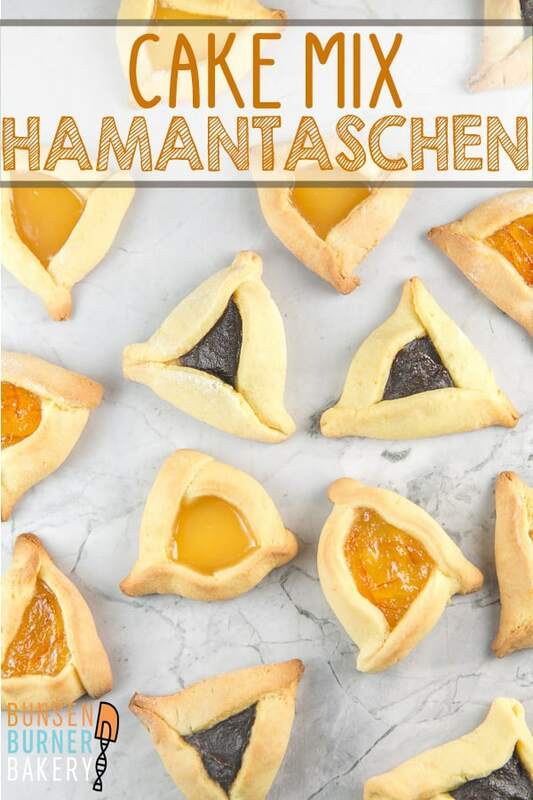 Hamataschen looks delicious, perfect for after work or school snack. I’m thinking if this recipe would be a perfect pair for coffee. Would definitely make some of this recipe.